The 2013 World Junior Ice Hockey Championships are coming up quickly. The six tournaments which comprise the entirety of the World Juniors will be taking place from December 9, 2012, to January 20, 2013. Each tournament will feature some incredible competition between players from a total of forty countries, all of whom want to help their nations win medals. For some countries, it is not just about a medal; it is also a matter of being promoted to a higher pool for the next year’s tournament. Unfortunately, most of the attention at a tournament like the World Juniors is directed at the top pool. This year, their tournament will be held in Ufa, Russia. A good majority of spectators, both in the stands and watching on their television sets, would admit that this is the cream of the crop. That, however, is not necessarily the case. There are other players from several countries who are equally talented to players from Canada, Russia, the United States and Sweden, but the only problem is that they are not given the recognition they deserve. Several countries in the lesser pools of the 2013 World Juniors employ young men who have considerable international experience. In some instances, players from these countries have appeared in some of the higher tournaments at the IIHF level, especially the Men’s World Hockey Championships in which they play against seasoned professionals up to twenty years their senior. Additionally, there are some players who have also appeared in World Junior tournaments from younger ages than some of their higher-pool counterparts, some playing in their third tournament during their career. Here are ten players from nine countries who hockey fans should really take notice of during the 2013 World Juniors in several of the tournaments over nearly two months ahead. Austria will be participating in the Division 1A World Juniors held from December 9-15, 2012, in Amiens, France. They will be hoping to prove that, despite how small the majority of their players are, they are not to be taken lightly. A key example of the small and mighty Austrian lies in Johannes Bischofberger. 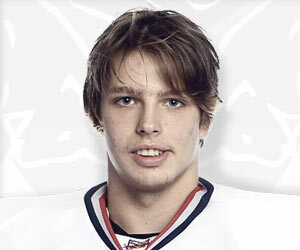 A 5’8″, 154-pound forward, Bischofberger currently plays in the Erste Bank Eishockeyliga for EC Red Bull Salzburg. He has participated in three World Under-18s over the course of his career, winning gold in 2011 and bronze just last year. Additionally, he played for Austria at the World Juniors last year, recording four points, including a goal. A skilled centre, Bischofberger will be counted upon not only to score big points for Austria at the World Juniors but also to take key faceoffs. One reason for that would be his nearly 67% faceoff percentage at the 2012 World Under-18s, which led the tournament in that statistic. Due to the 2012 NHL lockout, as well as free-agent signings, Bischofberger also finds himself in elite company on his club team in Salzburg. Among his teammates on the Red Bulls are Derick Brassard, Johnny Boychuk, Alex Auld and Rob Schremp. 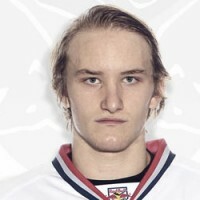 Overlooked for the 2012 NHL Entry Draft, Bischofberger could become another great player out of Austria if a team is willing to take a chance on him and his size should not be an issue. Croatia will be participating in the Division 1B World Juniors held from December 10-16, 2012, in Donetsk, Ukraine. They are going into their tournament with one of the most underrated goalies perhaps not only in their homeland but in all of European junior hockey. Mate Krešimir Tomljenović will be playing in his third World Juniors this year, hoping to build upon success he has already accumulated not just at that level but also at the top echelon. Even though Tomljenović was not exactly stellar in his first-ever World Junior tournament in 2011, he did shine as a seventeen-year-old at the Men’s World Hockey Championships that year. He had a stellar 1.44 goals-against average and a .927% save percentage in four games at the 2011 tournament. Not only did he help Croatia win a silver medal, losing gold to the hosts from Romania, but he was actually named the top goalie of the tournament. This is especially superlative due to the fact that one of the goalies he outshone was thirty years older than Tomljenović himself. The next year, he had a 2.37 GAA and a .915% save percentage in five games at the World Championships, winning his team’s Top Player honour and a bronze medal. Tomljenović is also helping Croatia at the Olympic qualification tournament and he will be appearing at his third World Juniors next week. 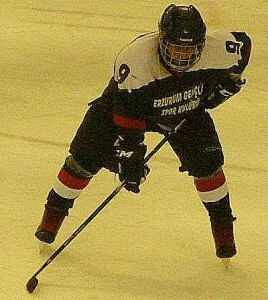 Estonia will be participating in the Division 2B World Juniors held from January 12-18, 2013, in Belgrade, Serbia. They are going to have one of the most experienced players in Estonian junior hockey history on their roster as their captain. Robert Rooba, the son of Estonia’s junior team’s head coach, has appeared in two World Under-18s, four World Juniors and three World Championships thus far. To make it even more remarkable, Rooba appeared in his first career World Championship at only sixteen years of age. A 6’3″, 205-pound left winger with Blues Espoo’s under-20 team, Rooba has been named the top player on his team at two World Junior Championships, both years he has been named captain. He has also won both an under-18 and World Junior silver medal, and two gold medals at the Men’s World Championships. Rooba will try his best to ameliorate on his World Juniors from last year in which he led the tournament with an astounding thirteen goals in only five games. During the 2012 offseason, Rooba even attended the rookie camp of the Detroit Red Wings. It is not too farfetched to even surmise that Rooba will be at the 2013 World Championships for Estonia, which will be held in Donetsk, Ukraine. France will be participating in the Division 1A World Juniors held from December 9-15, 2012, in their homeland. They are going into the tournament on a high, knowing that they had been promoted to this pool only a year before. A key component of their success will have to be with their returning #1 goalie, Julian Barrier-Heyligen. The netminder who got France to this point, Barrier-Heyligen has been, for lack of a better term, the “saving grace” for his country’s international teams over the last two years. In 2011, at the World Under-18s, he appeared in only two games but he made the best of them. Barrier-Heyligen led the tournament with a 1.92 goals-against average and a .940% save percentage, helping France win a bronze medal. At last year’s World Juniors, Barrier-Heyligen really showed what he was made of. He led the tournament with an outstanding 0.75 GAA and a sparkling .963% save percentage in four games, helping France win gold and qualifying them for promotion for this year’s tournament which is held in Amiens. In fact, Amiens is nearly two hours away from Barrier-Heyligen’s hometown of Saint-Cyr-l’École. This year, he is expected to be a tutor to Alexis Neau, who will likely inherit the reins for France at the next World Junior Championships. He is hoping to also bring some respectability to the position of goaltender in France, one that has only seen Cristobal Huet as its most well-known gardien de but. With both Huet and World Championship veteran Fabrice Lhenry not getting any younger, it is up to younger netminders such as Barrier-Heyligen — as well as Florian Hardy and Landry Macrez — to come in and do well as the future draws nearer. 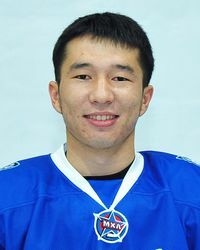 Kazakhstan will be participating in the Division 1B World Juniors held from December 10-16, 2012 in Donetsk, Ukraine, making them the highest-ranked Asian country in any World Junior tournament. They are going to have a roster comprised mostly of players from two teams: Snezhnye Barsy Astana and Torpedo Ust-Kamengorsk. One player from Astana who is hoping to make an impact on this year’s roster for Kazakhstan is Yesmukhanbet Tolepbergen. While that name alone is enough to get him noticed, Kazakhstan is hopeful that they can eventually make their way back to the top pool like they did in 2009 in Ottawa. Tolepbergen, a 5’11”, 165-pound forward, is about to appear in his fourth IIHF tournament in as many years. In 2011, he helped Kazakhstan win a bronze medal at the World Under-18s. Just last year, Tolepbergen helped his country win silver. Tolepbergen will be one of several returning players for Kazakhstan this year. They may have it tough, however, since they have two new goaltenders as both Artyom Mikushin and Pavel Poluektov graduated last year. Tolepbergen is expected to be a leader on the team, helping returning captain Vyacheslav Borisov and alternate captain Ramazan Aldamzharov. Kazakhstan may lack the superstar quality that Nikolai Antropov brought to them in the early 2000s or the sheer tenacity that Mikhail Lazorenko brought in Ottawa (he is the 5’4″ dynamo who knocked over Tyler Myers against Canada). They, however, will be an interesting team to watch and Tolepbergen is hoping to win a medal in his last year of World Junior eligibility. Lithuania will be participating in the Division 2A World Juniors held from December 9-15, 2012, in Brașov, Romania. They are fortunate since they will have one of the most experienced teams at that tournament. Leading the way for Lithuania will be a pair of forwards with superlative international pedigree. Aivaras Bendžius will be appearing in his ninth IIHF tournament at this year’s World Juniors and he is only nineteen years old. 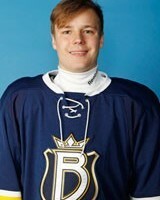 He was actually Lithuania’s captain at the World Juniors last year as an eighteen-year-old. 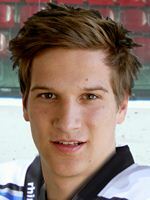 Bendžius, a forward who plays for Ilves Tampere’s under-20 team in Finland, has one of each medal to his credit already, winning gold at the 2010 World Juniors, a silver at last year’s tournament, and a bronze at the 2011 World Under-18s. Additionally, he has already appeared in a Men’s World Championship and at the Olympic qualifications for 2014 in Sochi, Russia. Bendžius will not only bring leadership and offensive production to Lithuania’s entry but also significant size. At 6’4″ and 205 pounds, he is a reputable force from a physical standpoint, as well. 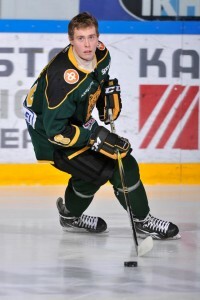 One of Bendžius’ teammates from Ilves can also have a significant impact on the World Juniors this year for Lithuania. Daniel Bogdziul is another forward who has been a key contributor for Lithuania internationally. A year younger than Bendžius, Bogdziul’s experience representing his country belies his age. He has also won gold, silver and bronze medals but he has also found himself leading tournaments in scoring. For example, he led the 2011 World Under-18s in scoring with 21 points in only five games. This year, he will be appearing in his fourth career World Junior tournament. Bogdziul has also appeared in two World Championships and at the Olympic qualification tournament. Also like Bendžius, he brings significant size to Lithuania’s roster. At 6’3″ and 192 pounds, Bogdziul will surely be a force on the ice in all aspects as he hopes to help Lithuania win another medal. Happily, for all involved, Bogdziul can be used in all situations as he does not take a lot of penalties. The most amount of penalty minutes he has ever had in one tournament is six. The most he has ever had during a season is fourteen. This is what allows for Bogdziul to thrive and play at the level he is most capable of. Romania will be participating in the D2A World Juniors held from December 9-15, 2012, in their homeland. The tournament takes place in Brașov. For the host Romanians, they are a favourite to win gold on home ice, which would make it their second championship in a row. Their roster is filled with a veteran corps of 1993-born and 1994-born players. A key returning 1993-born forward is Zsombor Molnár, who plays in the Interliga for HSC Csíkszereda. Although not the biggest player on the ice at 5’7″ and 150 pounds, Molnár makes up in experience what he lacks in physical size. Already in his career, he has appeared in four World Under-18 tournaments for Romania, playing in his first in 2008 at the age of fifteen. The next year, he helped Romania win bronze at the tournament. He then won two consecutive silver medals at the World Under-18s, including an eleven-point tournament (eight goals, three assists) in 2011, while also helping the under-20 team. In 2010, at the age of seventeen, Molnár played in his first World Junior tournament and he won a bronze medal for Romania. Last year, he was an alternate captain on a very strong under-20 squad that went on to take gold. For the tournament this year in Brașov, Molnár — who is expected to either be captain or, at least, an alternate — is hoping to give his homeland fans another medal to cheer about. From a career standpoint, this could surely help him explore other opportunities, something that he was exposed to last season playing in Sweden, an incredible accomplishment for a player from a lower hockey country such as Romania. Slovenia will be participating in the D1A World Juniors held from December 9-15, 2012, in Amiens, France. Just like the host French, as well as the upstart Norwegians, Slovenia is expected to have one of the better goalies in the tournament. Luka Gračnar has been absolutely stellar in every single international competition he has participated in during his career. That does not mean that he has not been fantastic during his club career, of which the majority has been spent with EC Red Bull Salzburg. The Jesenice native, however, has just been incredible on the biggest stage representing his country. 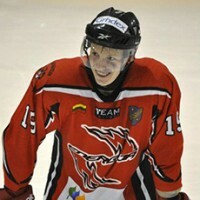 Gračnar appeared in both his first World Under-18 championship and his first World Juniors in 2010. He helped Slovenia win gold at the under-18 tournament, posting a 1.09 goals-against average and a .915% save percentage in four games. If that was not impressive enough, Gračnar had a 1.47 GAA and a .948% save percentage in four games at the World Juniors to help Slovenia win bronze. In 2011, he won two silver medals, one at the under-18s and another at the World Junior tournament. Additionally, Gračnar was named the best goaltender of the 2011 World Junior tournament. Remarkably, last year, Slovenia did not medal, despite the fact that Gračnar once again put up significantly impressive numbers. He will end his World Junior career this year with his fourth tournament and he is hoping to come away with a medal. There is no doubt that he will wear the SLOVENIJA jersey again in his career; it may not be at the World Juniors but definitely at the Men’s World Championships. Turkey will be participating at the D3 World Juniors held from January 14-20, 2013, in Sofia, Bulgaria. They generally go into these tournaments overwhelmed but it is no fault of their own. Their rosters have lesser players than most of the other teams in their tournament. Despite it all, Turkey’s World Junior team has managed to win a bronze medal in both 2003 and 2006. With junior hockey in Turkey not as developed as other countries, forcing many players to start professional careers earlier than normal, it can be a significant shock to play against individuals who have found themselves playing high-end junior hockey. One player expected to help Turkey in a big way may be their smallest player. Alparslan Bakanoğlu is only 5’3″ and 128 pounds but that does not mean that he is a pushover. 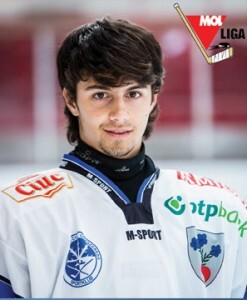 Bakanoğlu will be appearing in his fifth IIHF tournament of his career at the 2013 World Juniors, his third under-20 tournament. In 2010, his first World Under-18s, he won his only medal thus far in his career, a silver medal after losing gold to a strong team from Australia. At the 2011 World Under-18s, Bakanoğlu showed that he was definitely stronger and more physical than his smaller frame would attest. He had an incredible fourteen penalty minutes in that tournament. Also in 2011, he got to play at his first career World Juniors at the age of seventeen. He even scored a goal during the tournament. Last year, the Erzurum native was an alternate captain on a Turkish team that had been hit hard by graduation of key players. Additionally, many of the teams they played against were very strong, especially Iceland, who went on to win gold en route to promotion. Bakanoğlu will be expected to be a leader on Turkey’s squad at this year’s World Juniors, as well, quite likely as captain now that Kerem Islam has graduated. Happily for Turkey, some other key players will be returning for the 2013 tournament, including forwards Gökalp Solak, Barış Mehmet Sesli and Dogukan Gönülal; defencemen Fırat Erdem and Muhammed Kalkan; and goaltender Bahadır Şanoğlu.